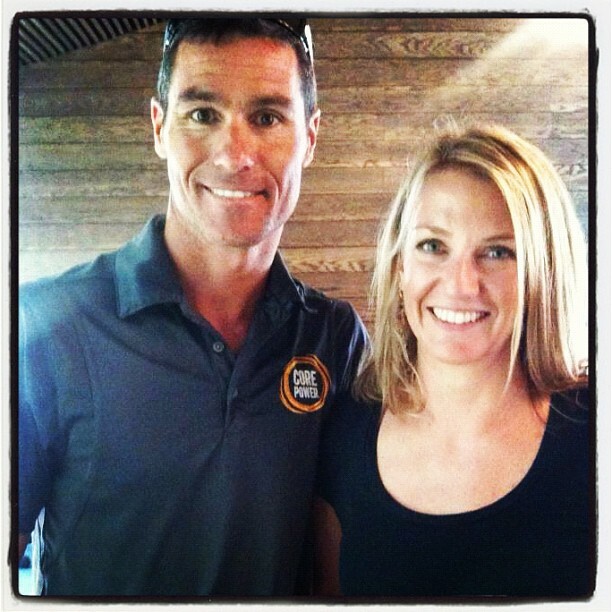 Recovery: My Interview with Craig Alexander | Watts Up Karin? Quick question for you… would you like to meet Craig Alexander for a one-on-one interview? My wife [Deirdre McKee] works for a consulting company and one of their clients, Core Power, is a sponsor of Craig Alexander. Crowie will be back in Chicago the day after Racine 70.3 and will be doing media and appearances. As part of that my wife was asked to help find some influencial Triathletes and bloggers who may want to meet Crowie and Blog/Facebook/Twitter about the experience. You can meet him one-on-one and ask him anything about Triathlon, training, life, what shoes to wear to the Kona parties etc. Yes. Yes, here take my first-born and sign me up. A thousand times yes. I will happily stare at interview Crowie. Admittedly, I was a bit intimidated by the format: half an hour alone with the reigning king of long-course triathlon. There’s no shortage of things to talk about, but the man’s habits are well documented. What do you ask the man who has been asked everything? WATT’S MY ANGLE? More importantly, given my amazing conversational skills, how would I prevent his eyes from rolling back in his head? I read up a little on his background and solicited “if you could ask one thing” questions from friends. I got a smartass responses like “ask him about Macca.” Uh huhuhuh, thanks, Butthead. Or “how does he balance his training with his family life?” which… is a fine question, but he is a proud family man, talks about it all the time, and why would I, a single girl, ask him that? Core Power’s headquarters is in Chicago’s West Loop. An unassuming one-story building from the outside, you walk into this beautiful naturally-lit space that is built out with a Modern-Industrial-meets-sustainable-materials aesthetic. Crowie’s Specialized road bike was propped up in the window, and a life-sized cardboard cutout of him greeted me at the door. Honestly, I thought Core Power was a yoga franchise, but quickly learned this wasn’t that Core Power. Live Guy shuffled me over to a bar and asked if I’d like to sample some “product.” Buh? This Core Power is a high-protein recovery drink licensed by Fair Oaks Farms. From their line-up I selected the light chocolate variety (20g protein and 150 calories, as opposed to the heavy version at 26g protein and 240 calories). It has a few bonus natural ingredients, including honey which keeps it shelf-stable without refrigeration, but tastes just like chocolate milk (i.e. REALLY GOOD). There was no chalky aftertaste or nasty mouthfeel. Nothing is worse than having a coated tongue after a workout. Crowie had competed just the day before at Ironman Racine 70.3. Much to everyone’s dismay, he broke his undefeated streak and didn’t have a great day. It was baffling to most of the tri community, and I felt horribly that the guy would have to sit through a day of fanterviews when he probably wanted to fly back to Boulder and his family, recover, and lick his wounds. I had no idea how to break the ice in what was sure to be a tough environment. I was led into the Fair Oaks conference room: a barn-shaped glass vitrine built into the larger space of the building. A number of people were sitting around the table in high-backed black leather chairs and two cameras were rolling. WHAT?!?! WELL we’re off to a swimming start here. 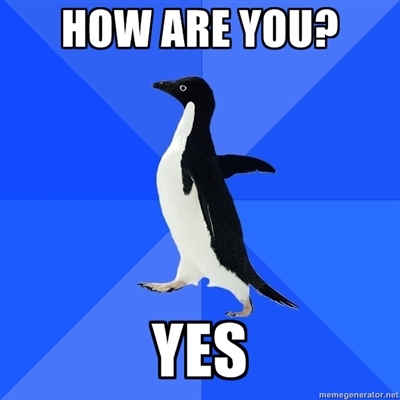 Awkward Karin is awkward. “‘Watt’s Up’ is clever,” he said. A PR person in the room said something about good branding, marketing 101, so of course I made a mental note to go home and immediately change my Twitter handle from PinkCrush (which makes no sense and a teen in Toronto seems to think she owns anyway) to WattsUpKarin. Crowie went on to describe his day, that he had no power on the bike and lost ground there, then couldn’t recover for the run. I asked if there was something, say, three months ago that he could point to as a mistake? Or was it just a bad day for him? Contrary to some rumors, he was not using Racine as a training day: he had purposefully prepared to have a good day there (i.e. to WIN, like he does), but it didn’t happen. He underscored that as a professional athlete his job, literally and at base, is to perform on race day. He spent months preparing for this event, and tapered well in order to have a peak performance. He wouldn’t walk into an event unprepared. That is simply unprofessional to him. So how does he account for his performance at Racine? You do all this hard training and then you back the training off, all of a sudden, your immune system is thrown a curve ball. People always get sick in their taper. I think you’re very immunocompromised in that week. And I went to do appearances: you come into contact with people and their hands and there’s coughing and spluttering on your neck, you’re in air conditioned rooms, you’re in an airplane and, I’m not overly OVERLY cautious about that kind of thing, but to spend months preparing for a race and to have something so simple like that sabotage me, I pay attention to those details. But last week there was a lot of STUFF. The second aspect of being a professional athlete is this STUFF (the “administrative” work if you will –his version of checking voice and e-mail, doing his paperwork and expense reports) which includes maintaining relationships with his sponsors and his fans. As defending world champ, he has a number of obligations in this capacity. He also takes care to create true partnerships with his sponsors. In fact, he says his business manager, Franco, is all about return on investment and likes to demonstrate the value added by attaching a product to Crowie and vice versa. This means that he doesn’t just receive goods and services in exchange for wearing a brand, but he travels for appearances and enjoys hand-on work with his sponsors, including providing feedback. Add to this his responsibilities as a husband and father, and one who takes pride in providing for his family first before fulfilling his career goals, and you have a busy man. Basically, there was a perfect storm of obligations weighing on him the week prior to the race, when he was immunocompromised. I moved house [in Boulder, CO] on Monday, I had three photo shoots on Monday as well, another two on Tuesday, a business meeting Tuesday night and another Wednesday morning. I drove my family to the airport on Wednesday, then I had to pack and I went to the airport Thursday, then I had the Runners High n’ Tri thing on Friday –no that was Thursday night– and then I had another appearance after that…. Yeah that’s some STUFF. OK, the man has a lot on his plate. Striking the work/life balance is something many amateur athletes can sympathize with, but imagine trying to do it on a world-class level. Although he had been training very well since winning the Ironman Asia-Pacific Championship in Melbourn and Eagleman earlier in the summer and was looking forward to an even better performance in Racine, he set aside his disappointment and took full responsibility for his mistake, whatever it was. Again, as a professional, it’s entirely up to him to schedule all of his obligations such that it won’t affect his performance on race day. He said he had been able to balance everything correctly in the past, but this time it may have had a negative impact. I did dwell on it a little last night, thought about it, but it’s over now. I do always wake up even the day after a poor performance –and I don’t have many of them– and think it’s important to do that self-analysis honestly and ask yourself ‘is there’s anything I did? Are there any red flags?’ Aside from those appearances it was business as usual…. Maybe it was just one of those days…. And credit to the other boys as well. There’s less margin for error, there’s so much depth now. I mean you go to any race and there’s three or four or five world class guys. You know, the days of being 1% off your game and winning are long gone. So I have to give credit to the guys who made it uncomfortable for me when I was trying to find my legs early. I just never found them. Now it’s time to move on. But no, I don’t think what happened yesterday will have an impact on what’s gonna happen two months from now. That would be in September, at the Ironman 70.3 World Championship in Vegas. A month after that would be Kona. He would be the defending world champ at both events, so I said “well that’s good.” DUH, KARIN. So, I’m there sitting next to this (pretty, pretty) man (who looks so good in jeans) thanks to a Core Power, a recovery drink. It’s a great time to talk about his recovery strategies. Recovery is multi-faceted, especially at Crowie’s level: it’s both mental and physical, and the physical relies on several key aspects: nutrition, rest, external stimulus, and good timing for all of the above. He maximizes his training by optimizing his recovery. Nutrition: Crowie’s stepdad worked on a dairy farm, and he has always loved milk. As he was coming up in the sport, he also learned about protein for recovery and branch chain amino acids as the building blocks for new muscle. A friend introduced him to the concept of protein milkshakes after training, which appealed to him for obvious reasons. And once Crowie learned that Mark Allen used to drink chocolate milk as his recovery drink even back in the day, before the “My After” ad campaign, he was sold on the concept. He even started drinking chocolate milk DURING his long rides: his group would make two stops, and at the second he would start taking in the protein. He found that he recovered well. I have to say I tried this this summer and it works! And contrary to popular belief, chugging a quart of chocolate milk is pretty easy, even on a hot day. Today, Crowie follows a high protein diet in general. It wasn’t an attempt to follow a fad diet, but it helped him keep weight off and not feel hungry ALL THE TIME. He eats three meals a day and has protein shakes in between meals. He went from 160 lbs to 154. In season he’s about 150, and at Kona he’s even less. Basically, I could take him. He has a fast metabolism. I modified this per my lifestyle into Shower Smoothie Time (on weeknights) and Ice Bath Smoothie Time (on weekends, especially after long runs). Rest: Yes, though busy, he spends time with his feet up and in NormaTec recovery boots. That is part of his training. Those are additional, necessary, and pre-scheduled hours logged in his timesheet training log. Napping is part of his JOB people! That said, life gets in the way at times, and eight hours of sleep plus a nap just isn’t possible. He rarely misses the easy smoothie after a workout, but it may not be possible to nap. Compression tights only do so much. He says if he misses part of the recovery routine, he can feel it in training the next day. Much was made about his age in 2011 when, at 38, he became the oldest man to win Kona. He admits that he doesn’t recover from workouts as quickly as he once did. The heart and lungs just keep getting stronger as you get older, it’s the chassis that deteriorates! The ability for the body to recover changes. I don’t think it’s any coincidence that you look at a lot of guys in their 30s, Jens Voigt is 40, Stuart O’Grady is 40 they’re riding their sixteenth, seventeenth tour. Marathon Runners are in their 30s: Gebrselassie was 38 when he retired, Carlos Lopes won an Olympic gold medal at 38. I think the science of nutrition and recovery has improved and has enhanced the longevity of careers. I mean, baseballers: Jamie Moyer was pitching at 40. * You know, some sports that’s never going to happen…. But other sports where, there’s a lot of things you can do to improve the longevity of your career and the quality of your career. And it starts with nutrition. The science is showing and it’s irrefutable that nutrition and all those external things –the ice bath and massage– help. I’m my own experiment. I know if I’m diligent with all those things, my next day is better. If I miss the protein milkshake or the ice bath or if I don’t get a nap in the middle of the day when I’m training hard, I can feel it: my legs feel heavy, I haven’t flushed everything out, I haven’t put in the building blocks to help the recovery. Speaking of rest, he has a before-bed routine too: it’s an opportunity for mental recovery as well as physical. The last thing he wants to do is business at the end of the day, so he lays on the couch in his NormaTec boots and watches sport on the telly. =) His wife and business manager take on much of Craig Alexander the Commodity. She answers emails and books his travel, his manager brokers with the sponsors. I like to train and be dad, and not in that order. I’m a father first, and I train to be a phenomonal athlete. After my brief time with Crowie (my fluttery-hearted recovery, if you will), I carried a few of his lessons with me for a brief time, then forgot them all as comfort-eating became MY recovery (dessert at lunch and dinner? Check. Who needs chocolate milk when you can have a tub of Trader Joe’s Sea Salt Brownies?). I did find myself quoting him all summer long as I talked with other athletes about work and life and triathlon and recovery. I thought a lot about the team of people he surrounds himself with: all symbiotic relationships where “if you’re not adding value, you’re subtracting value.” I thought about personality in life and reputation in sport, and how he leverages his strengths and accomplishments. Crowie had a good season, but not as great as his 2011. He finished second at the 70.3 Championship, and a disappointing 12th at Kona so wasn’t able to defend either title. Although his accomplishments are what put him in the public eye, he has proven that they aren’t what make him an admirable role model. Here’s a link to a quick interview with him immediately after his race in Kona, talking about his day, his season, and his plans for the future. I hope he’s recovering well. Pingback: Watt I Did This Summer « Watts Up Karin? Pingback: Make Some Noise! : Regarding Sponsorship « Watts Up Karin? Pingback: The Shower Smoothie Recipe! « Watts Up Karin?